Today's Cover Lust post features...butterflies! Woohoo. I don't swoon over butterflies or anything, but I particularly like the way they are used in these covers. What do you guys think about these? Thomas Quicksilver, known to his classmates as "Pucker," has always been an outsider. His crazy mother, the secret of his family's strange origins, and above all, the terrible scars on his face from a childhood fire--these things have kept Thomas isolated and lonely. But now, at seventeen, Thomas is suddenly given the chance to change all that.To be magically healed, even beautiful; to have girls throwing themselves at him. To fit in. The question is, what is he willing to sacrifice? His home? His personality? His mother's life? This was a book that definitely caught my attention first via its cover. Too such incompatible elements, yet metaphorically similar. Plus, just a beautiful, almost ethereal, treatment of the bright firelight on the black background. Does this cover draw you in? Sixteen year old Gemma is kidnapped from Bangkok airport and taken to the Australian Outback. This wild and desolate landscape becomes almost a character in the book, so vividly is it described. Ty, her captor, is no stereotype. He is young, fit and completely gorgeous. This new life in the wilderness has been years in the planning. He loves only her, wants only her. Under the hot glare of the Australian sun, cut off from the world outside, can the force of his love make Gemma love him back? The story takes the form of a letter, written by Gemma to Ty, reflecting on those strange and disturbing months in the outback. Months when the lines between love and obsession, and love and dependency, blur until they don't exist - almost. This UK debut novel is stunning, terrifying, highly disturbing, and unlike anything I've read before. It also has a gorgeous color, brilliant in its simplicity. I love the butterfly silhouette. Again, it's used as a metaphor here--what is it with these art designers and their love for the butterfly's symbolism? Well, that's not my area of expertise, but I find it cute. The hardcover version that's going to be published this May (available in North America, I believe) is similar, but it doesn't have the dry, spiderweb-like cracks. I prefer this UK paperback version. When Brie's sister, Faith, dies in a fall from a cliff, Brie's world falls apart. As she goes through the bizarre and devastating process of mourning the sister she never understood, Brie must also contend with increasingly distant parents, her boyfriend's betrayal, and her sudden outcast status at school. And once she's over the initial shock of Faith's death, Brie is encountering more questions than closure: Certain facts about the way Faith died just don't line up. She soon uncovers Faith's role in a dark and twisted religious cult...a cult that now wants Brie as a member. Quite different from the first two, but stunning in its own way. As I've probably mentioned in previous Cover Lust posts, I seem to like white covers. The starkness of the hands feels a little choppy and out of place to me, but I do like the flowers that turn into--again--butterfly silhouettes. And that shade of violet is so pretty. I know there are more butterfly covers out there, but these, I think, are some of my favorites. How about you? 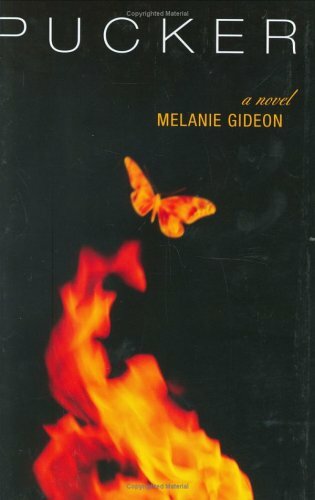 Are there other covers featuring butterflies that you like, or that you'd like me to check out? Beautiful covers! One of my favorites with a butterfly on the cover was Tithe by Holly Black. I think How I Live Now by Meg Rosoff had some butterflies on it too xD My favorite of those three has got to be Losing Faith- the contrast is so eye-catching. I love these, I can't wait for Losing Faith and the cover was actually what initially made me notice Stolen (which is a fantastic book). They're all so gorgeous! I must say that I like the first one the best - the colours are so vivid and I love the way the butterfly is displayed. You're a winner at Color Online. Please come by. 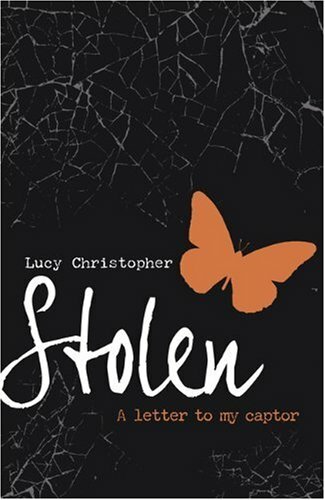 I really want to read Stolen, and love the cover for Pucker!! Oh butterfly covers...so pretty. We're building a new house and every time I go and visit it, there is a beautiful butterfly stuck inside. Of course I always save it. Such beautiful covers and I especially love Losing Faith's cover. Oh, I have an award for you over at my blog. As for the other two, Losing Faith is my favourite. The silhouettes look really good. Oh! And how about the US hardcover edition of The Adoration of Jenna Fox? Love that one too! Gorgeous covers! I think covers are mega-important as that might be the one thing that makes me pick up a book to see what it is about! HC of Celia Galante's THE PATRON SAINT OF BUTTERFLIES is another great butterfly cover--and an interesting book (kind of a young YA). Just discovered your great blog. Look forward to following! 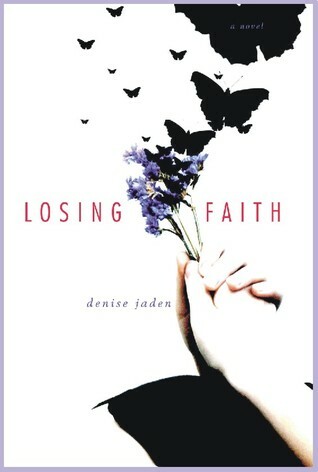 i love the cover to Losing Faith but only because I like the way her hands and shadow make the butterfly. So pretty. I think I need to go get Pucker and order Stolen. They both sound so good!